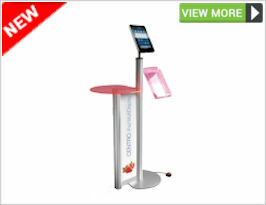 We offer a range of tablet display stands that reflect the key features of the iPad devices that they hold, beautiful design, intuitive operation, strong build quality and innovative features. 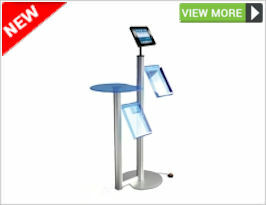 The portability of these column display stands provide the ideal opportunity to use graphic panels, literature holders, table tops and iPads in a simple combination to create sleek looking information kiosks. 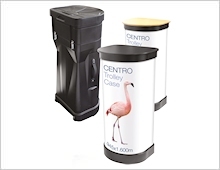 Ideal as freestanding information stations, queuing information systems, showroom product information and at tradeshow events. 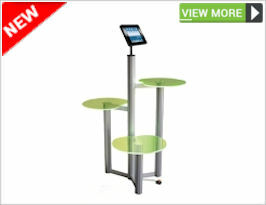 Elegant high quality, easy assemble, self-supporting anodised aluminium structure. 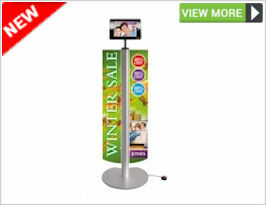 Secure lockable display frame that can be tilted for optimum viewing. Fits iPad 1, iPad 2 and the new iPad 3. 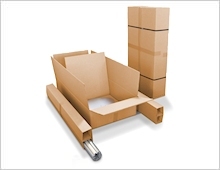 1.8m premium quality enclosure lock and cable with 2 keys. Lasso security cord to appropriate position on display stand. 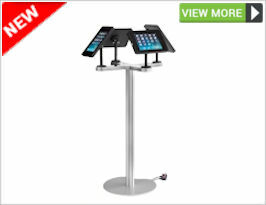 Not recommended for iPad Column and Podium stands. 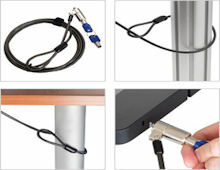 Alternatively lasso security cord to nearby stationary object to prevent removal of complete iPad display stand. 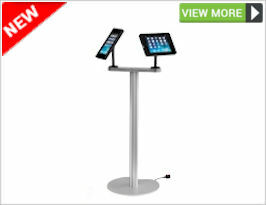 For secure locking of iPad enclosure follow the instruction guide supplied. Scroll down to Guided Access. Switch Guided Access to on and Set Passcode if not already set. Go to an app with a scrolling picture, triple click on the Home Button and press Start in the top right-hand side of screen. Your screen is now locked. To unlock - Triple click the home button, enter your passcode and in the top left-hand side click End.